Ruffles will never get old. Well, at least in terms of this current season. Okay, have to say that I'm not a huge fan of this trend or, let's say, ruffle-thing in general. I see this sort of detailing as something highly romantic, girly and sweet maybe... and, yes, am not really into this stuff lately. 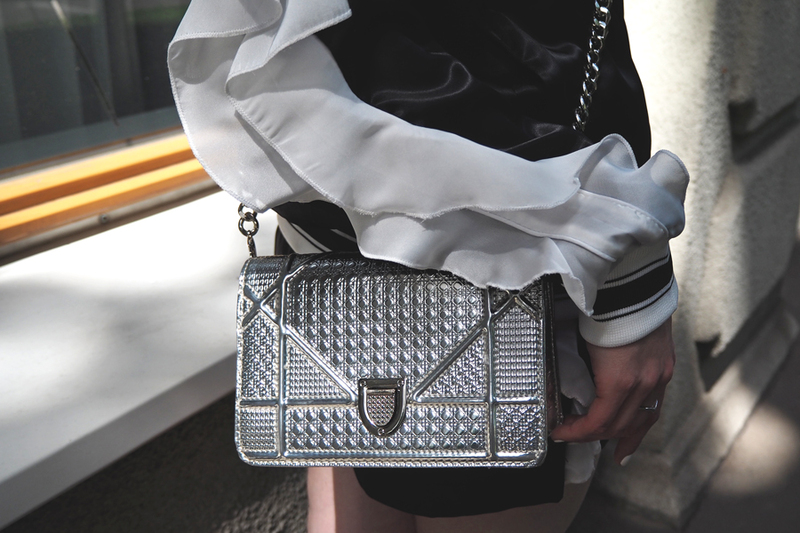 So I don't invest much into ruffles, but rather prefer having those few pieces within my fashion arsenal. You know, just in case. Because sometimes a little change and/or break from beloved track suits and camo prints wouldn't hurt. Speaking of my fashion preferences and what I am a fan of, I've already touched upon sportswear topic few times before. Now how about sport-inspired clothing during summer season? Especially during those super summer-y days. I mean figuratively speaking track pants and sweatshirts might be challenging at times. Basically it's a little intro, or story, behind how, and maybe also why, a sportswear fan of mine fell for this shorts suit. This sport-much bomber + shorts set seem to be that perfect option for summer season. And, well, the fact that suit is upgraded with ruffles didn't scare me off or something this way. On the contrary, I found such detailing being an excellent addition. A contrary but excellent addition that turns the set into alluring and even more dynamic piece. Right, ruffles is just a good way to add dynamics to a piece that already has these vibes at heart. Heeled sandals or sneakers for such outfit? I would say both... it's more about changing shoe-style according to situation.